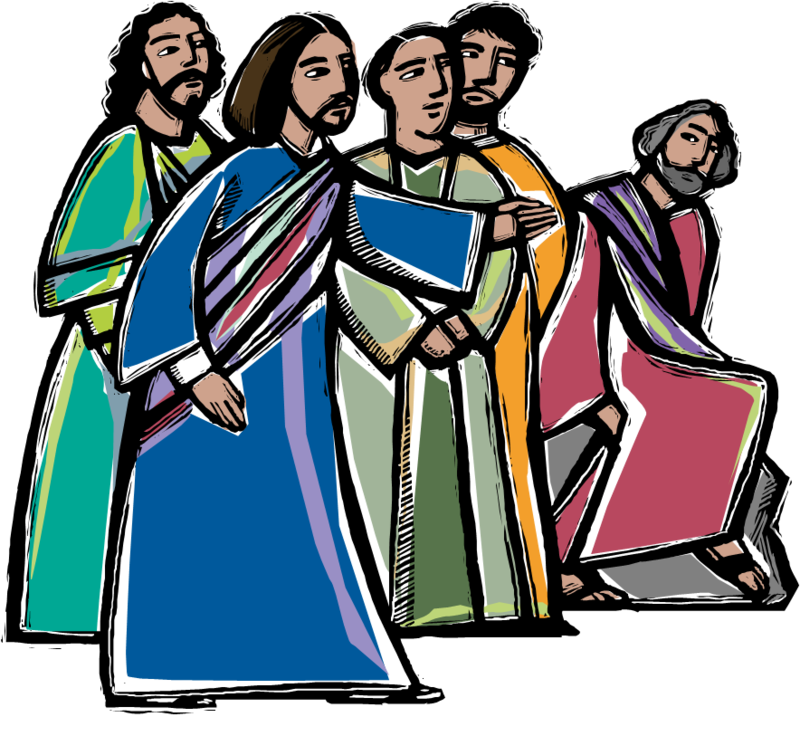 After their experience of Jesus risen from the dead, Jesus’ disciples “re-read” his public ministry. They came to see that his life was about proclaiming, demonstrating, and personifying the Reign of God, the kin-dom of God, a community of forgiven and forgiving people, a communion of love and justice. From the beginning, Jesus shared his mission with his disciples, sending them out two by two. But it was only after he had risen from the dead that the full import of such sharing-in-mission became clear. At Pentecost and gradually thereafter, the community of disciples became more and more conscious that now they were the ones to continue Jesus’ mission. The Spirit of Pentecost cajoled them and persuaded them to become missionaries, and they accepted their election. They came to understand that to be blessed with election means to be incorporated into mission, to be bearers of God’s purpose for the world. They accepted the challenge of acting like God in the world, the challenge of being the Spirit’s gentle but life-giving presence, being Jesus’ voice in witnessing to the love of God, of giving concrete expression to God’s care for the sick and those trapped by evil. In these weeks following Easter, have we ourselves experienced Jesus’ continued, empowering presence? Have we experienced the movement of his Spirit in our hearts calling us to mission? Given events in our world, there is more reason than ever for us to rise up in service and rededicate ourselves to the concrete expression of God’s kin-dom. Christ’s mystical body, those become one with him through baptism and Eucharist, are in various parts of the world presently experiencing what can justifiably be called a new era of martyrdom. Statistics say that a Christian dies for his or her faith somewhere in the world every five minutes. This is especially true of the Middle Eastern countries like Syria, Egypt, Iraq, Pakistan and Afghanistan. The situation of Christians in Iraq and Egypt has become dramatically worse. One and a half million Christians used to live in Iraq under Saddam Hussein while now there are only around one hundred fifty thousand left there. At the same time, there are examples of heroic solidarity among people of faith. In Syria, much in the news these months, even in a city like Aleppo—once a symbol of unity and dialogue between Christians, Shias and Sunnis–tensions have risen. Still, in spite of the climate of violence and vengeance that has become dominant throughout much of the country, residents of Aleppo have remained united. When two Christians who had gone to a mosque to express their solidarity with Muslims were killed in a car bomb attack, hundreds of people from both Muslim and Christian communities took part in their funerals. The situation in India is also taking a dangerous turn. Christians are killed, their churches are burned down, and they are leaving regions where once they lived in peace with Muslims and Hindus. In the largely Christian country of Greece, the hardships are different but nonetheless real. In the wake of austerity measures ushered in by international financial institutions overseeing the Greek foreign debt crisis, the numbers of the homeless and the famished have exploded. More than half a million people have lost jobs since the debt crisis began in early 2010, bringing the number of the unemployed in Greece to nearly one million or 19.2 percent of the work force, according to Eurostat. This is the big-picture context in which we are called today to continue Jesus’s mission of proclaiming, demonstrating, and personifying the Reign of God, a community of forgiven and forgiving people, a communion of love and justice. Closer to home, while our situation is nowhere near as critical or dramatic as in the countries mentioned, there are nonetheless people in need of varying kinds of assistance. For those farther afield, we can pray and give generously to charitable organizations providing for their needs. And for those in difficult circumstances within our own towns, neighborhoods, schools, and parishes, we can respond to the risen Lord’s call to mission with a renewed spirit of service. To be blessed with election as disciples means to be incorporated into mission, to be bearers of God’s purpose for the world, to share in Jesus’ suffering and to bear the scars of his passion. The servant’s path is not other than that of the Master, but Easter reminds us that this road, painful though it may be at times, leads to fullness of life.